The Shoals Chamber of Commerce is proud to collaborate with the Alabama Small Business Development Center (SBDC) to offer a Business Resource Center onsite at the Shoals Chamber office, 20 Hightower Place in Florence. 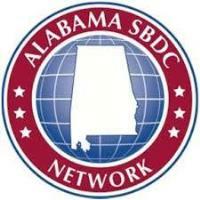 The Alabama SBDC Network exists to train business people in a wide variety of business topics and provides comprehensive information services and access to experts in many fields. Although the Alabama SBDC has nine office state wide, SBDC Business Advisor / Finance Specialist Heather Wright will be on hand February 1 and the following first Friday of each month to offer business advice to Shoals area businesses. Appointments can be made by contacting the Shoals Chamber office at 256-764-4661.